Helping your health and your life improve. A system of medicine to assist the body in detoxification and purification from toxic accumulations and encourage homeostasis in the body. The remedies selected also help to optimize organ system function and restore health at the cellular level. Even the best natural therapies won’t work very effectively if unhealthy lifestyle choices are being made. It can be as simple as sleeping an additional hour or drinking more water to make the difference in your health status. Since each individual’s lifestyle demands are different, a treatment protocol will be created to best serve you and address your unique lifestyle factors. By far, nutrition is one of the most important aspects for re-establishing your health. Much of your health is based in the gut. An individualized diet plan and high quality supplementation is necessary to restore and optimize your health. We will identify limiting belief systems, mental and emotional patterns, and subconscious tapes that are preventing you from optimal health. 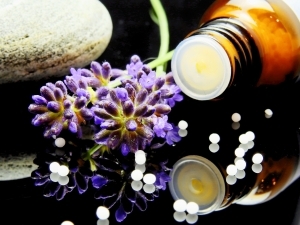 You’ll be provided with techniques and homeopathic remedies, as needed, to provide you with a new perspective and the mindset needed to help you achieve greater health. Excessive anxiety and worry, occurring more days than not for at least 6 months, about a number of events or activities, causing distress or impairment in various areas of functioning. An anxiety disorder based primarily on the occurrence of panic attacks, which are recurrent and often unexpected. Persistent feelings of sadness, hopelessness, and loss of interest in daily activities. A condition classified by chronic difficulty with focus and concentration, hyperactivity, and impulsiveness. Are you living your life's purpose? According to various surveys, 70% of individuals do not enjoy the work that they do and are not engaged in the workplace. Given that we spend most of our time each week working, it is important to be in an environment that is positive and one that engages you. Many times, mood dysfunction and physical ailments are a result of chronic stress from psychosocial factors, such as your workplace environment. It’s so easy to keep busy in our society with all of our day to day tasks and the multitude of electronic stimulation we are bombarded with. If you take a moment to be still, do you find yourself drained or feeling like something is amiss? Are you satisfied in other areas of your life? Far too often, we are working in jobs we don’t enjoy, engaging in relationships that create stress, and are overwhelmed by circumstances in our lives. I am passionate about helping my patients identify areas that are suppressing their spirit and more often than not contributing to their health concerns. Do you feel you have a relationship with God? How is your faith walk? Spirituality is personally very important to me and an area of life that I find contributes to our physical and mental health concerns. I discuss this area with my patients if they are open and willing to do so. I practice the Christian faith and work with individuals from all faiths and backgrounds. My intention is for you to deepen your relationship with our creator, in a way that makes the most sense for you. Dr. Yasaman Tasalloti has been treating me for about 2 years now. She is just amazing. She takes the time and dedication to her patients to get them well. I have been seeing various dermatologists for about 10 years trying this ointment and that ointment. They put me through months of laser treatments with some relief, but only to see it come back again. Since seeing Dr Yas, I have been able to go back to feeling normal again. Thank you, Dr. Yas! Dr. Tasalloti is a wonderful, kind, understanding, compassionate doctor. She has tremendous knowledge and has been very helpful with medical consultation and treatment. I have had the opportunity to receive several treatments from Dr. Tasalotti she is gentle and very capable. I highly recommend seeing Dr. Tasalloti, it has been a privilege to work with her towards improved health. I woke up this morning feeling so great! Not sure what it is, but I’m certain it has something to do with our work. You are a miracle worker!!! I absolutely LOVE the therapy treatments at your center. I’m already looking forward to tomorrow’s! After two treatments my skin is softer and has less eczema – didn’t even expect this result! WOW! Miracle Worker, Dr. Yas! Thank you!!! Dr. Tasalloti has been a very caring doctor. She delves in to figure out what is going on and then comes up with a plan. She has gone above and beyond the call of duty. Dr. Tasalloti has been wonderful to work with. She is very thorough, professional and has great knowledge about different options for different issues. She’s great at researching as well as following up. She does everything with a smile and is extremely friendly and approachable. I would highly recommend Dr. Tasalloti! ©2015-2019 DrYasND | All Rights Reserved.